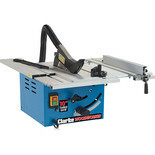 10" (254mm) long life TCT blade for ripping and cross cutting. 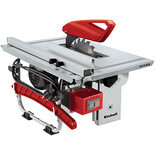 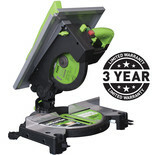 A compact yet powerful table saw for the DIY home woodworker, well able to cut all types of wood accurately at various angles. 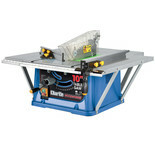 Transforms your 10" table saw (CTS10D) into a secure free-standing floor unit. 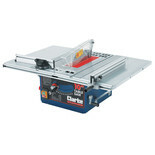 Leg Stand kit for CTS14 Table Saw Turns your Clarke CTS14 table saw into a free standing unit. 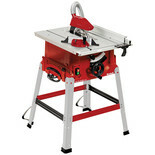 Ideal if there is limited bench top space in your workshop. 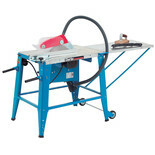 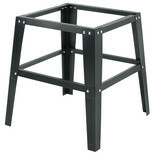 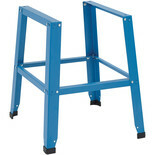 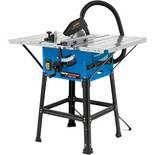 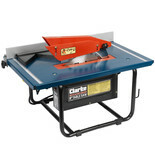 A strong, sturdy steel stand to be used with the Clarkes CTS11 10" Table Saw. 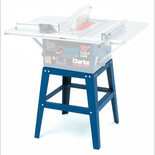 Ideal for a workshop with limited bench top space.